I finally getting around to posting Zack's Halloween pictures. 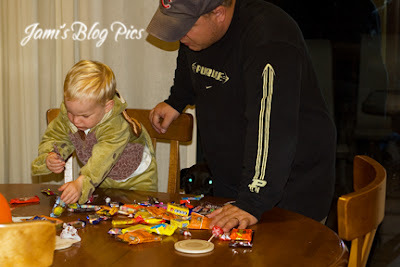 This was his first year trick or treating door to door. We went to my sister's so Zack could trick or treat with his cousins and have someone to show him how its done. My sister watched Addison so Ryan and I could both watch Zack trick or treat. Luckily it wasn't too cold this year, unlike last year. Zack had a blast and ran the entire time to keep up with the big kids. I don't think he got candy at half of the houses because he would turn around and leave with the other kids after they got their candy and before he got his. It was really cute. We also kept reminding him to say thank you. Many times he would run back to us at the end of the driveway and we'd ask if he said thank you, then he would turn around and run back to the door to tell them thank you. His poor legs were pooped by the end of the night. 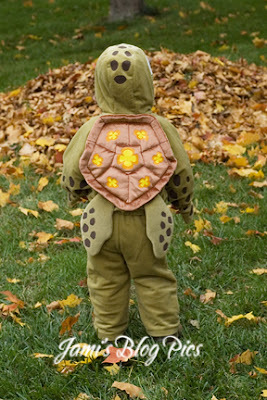 Zack as Squirt the sea turtle from Finding Nemo. Zack requested to be a turtle because he has been obsessed with them since this summer at the lake. The older kids would catch turtles while fishing and keep them in a bucket. He loved watching them and still talks about the turtles. 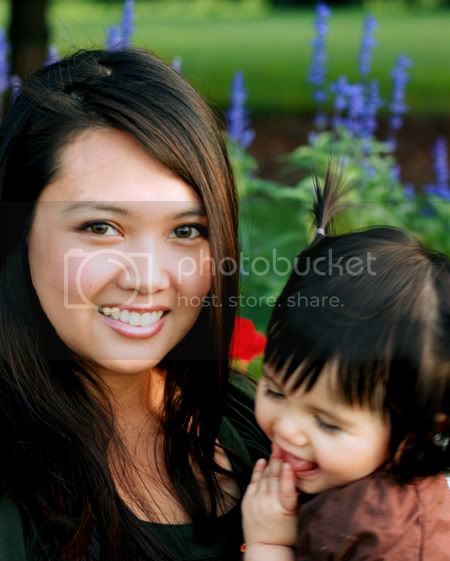 Here is an unrelated picture that I didn't want to forget about. 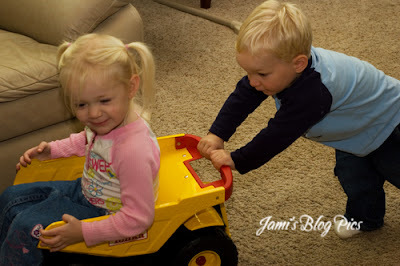 Zack pushing his cousin Lindsey around in the dump truck when she came to meet Addison. He was so excited to have her visit and couldn't wait to completely ransack his toy room to show her every toy he owns. 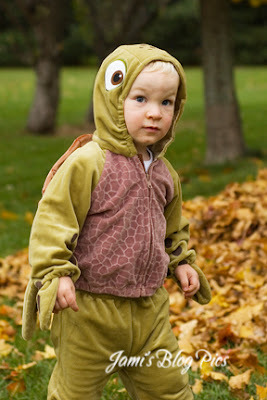 I love that costume, so cute!!! and I really need to get that dump truck for Teagun - he would love that thing! Love Zack's costume!! Glad he got to enjoy going trick or treating this year! That's a cool dump truck, by the way! We have something similar but I don't think you could sit in it like that one. Cameron would love it!